I occasionally make things for other people. Some of it may no longer be on the web, in which case stare at the 404 and use your imagination. 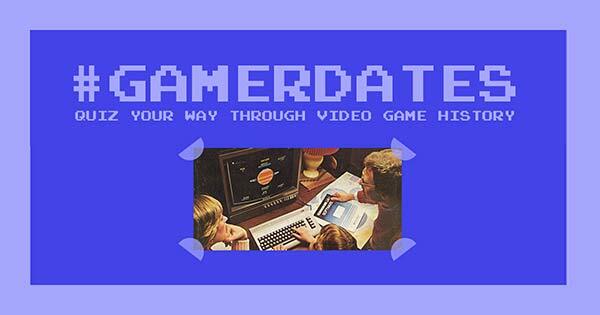 Gamer Dates Test your knowledge of gaming history by naming the games from 1948-2014, advancing one year at a time. Made for UsVsTh3m. 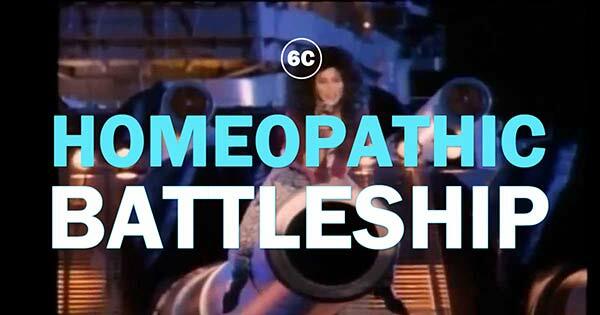 Homeopathic Battleship Battleship, but with the ship:water ratio set to homeopathic levels. Made for UsVsTh3m. 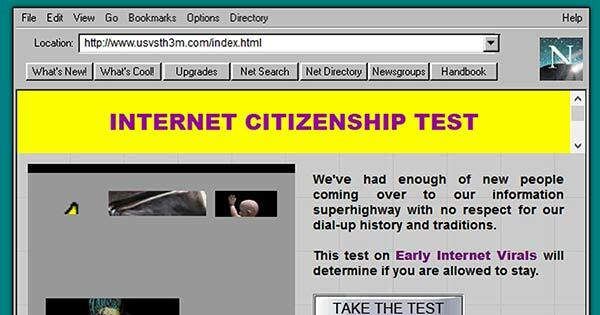 Internet Citizenship Test Have you been on the web long enough to not be deported? Take this early meme test to find out. Made for UsVsTh3m. Name that 90s Smash Hit! 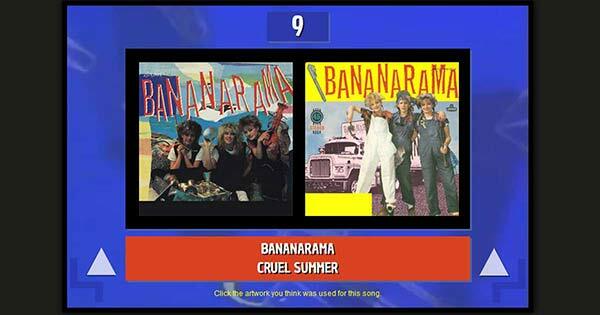 How many of the 90s pop videos can you recognise in a minute? Made for UsVsTh3m. 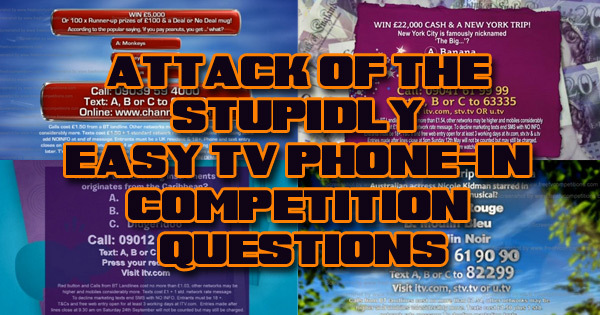 Attack of the Stupidly Easy TV Phone-In Competition Questions TV Phone in competitions are notoriously easy, but how many questions can you answer against the clock? Made for UsVsTh3m. 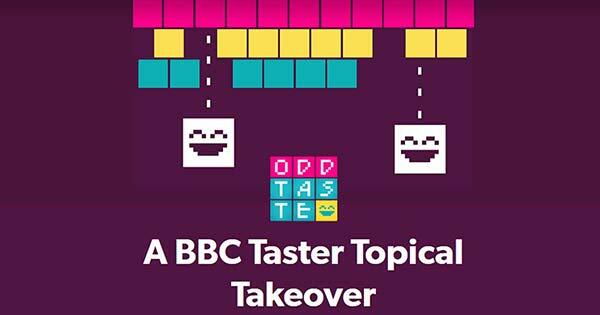 Odd Taste I made a few of the images and coded up the mini tests on this experiment by BBC Taster. 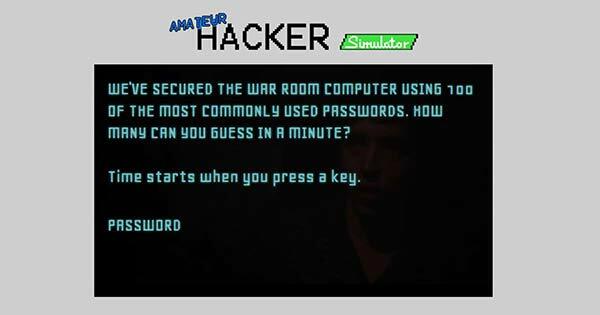 Amateur Hacker Simulator How many common, but terrible, passwords can you guess in a minute? Inspired by Podd on the BBC Micro. Made for UsVsTh3m. 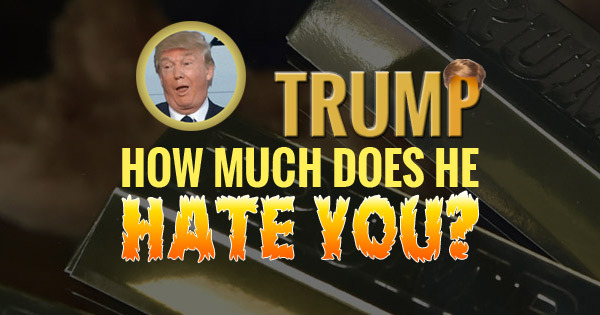 How much does Trump hate you? A game I made with Rob Manuel for The New Day, a short-lived newspaper. Trump went on to lose the election and didn't become president so the powerful satire obviously worked. Look Around You I animated the Horse Fighter and Driving Test games on this sketch. 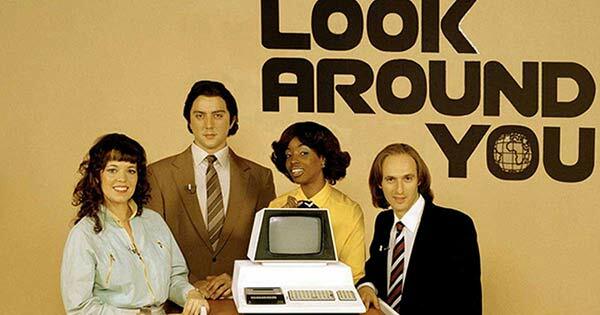 Name the pop single from the cover art Album covers are well known, but how many singles can you recognise? Made for UsVsTh3m. 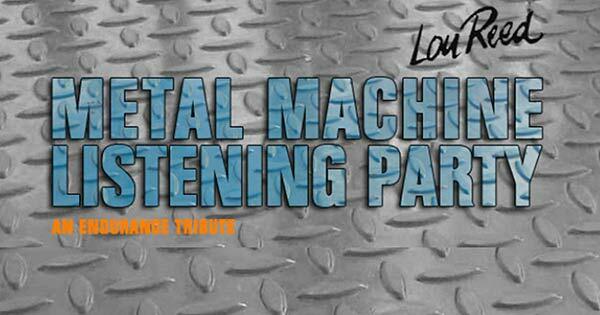 Metal Machine Music Listening Party A tribute to Lou Reed - how much of his Metal Machine Music album can you stomach? Made for UsVsTh3m. 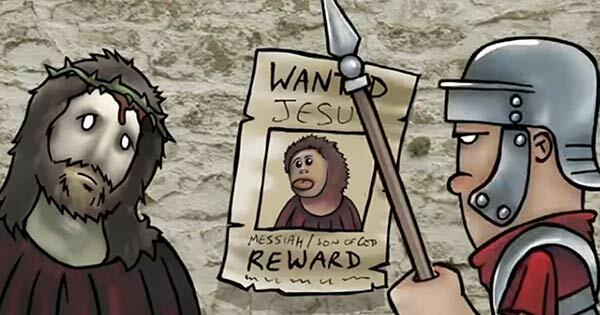 Mashed Monkey Jesus Sketch Happy Toast (@iamhappytoast on Twitter) did some fantastic animation work on this sketch idea I came up with for Channel 4's Mashed, based on a topical story about a badly restored Jesus Fresco which looked like a monkey. 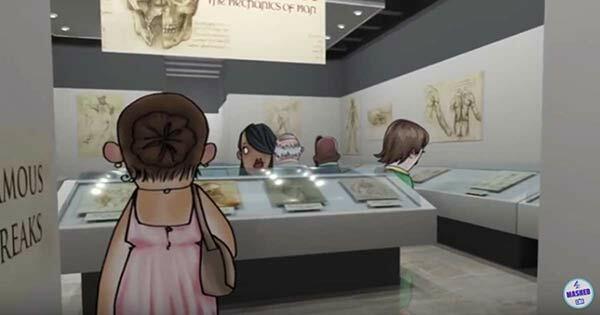 There was an additional bit created, showing the consequences of this event on the modern day church, but it was cut. The Wrong Door : Njarnia This sketch was based on an idea of mine. 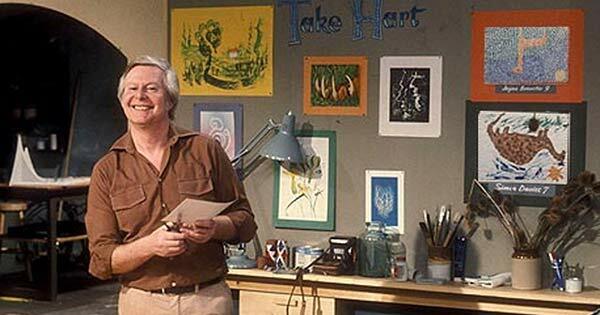 For BBC3. Mashed Leonardo Da Vinci Sketch Happy Toast (@iamhappytoast on Twitter) did some outstanding animation work on this sketch idea I came up with for Channel 4's Mashed, based on a topical story about Leonardo Da Vinci, and the awful TV show BodyShock which was popular at the time. 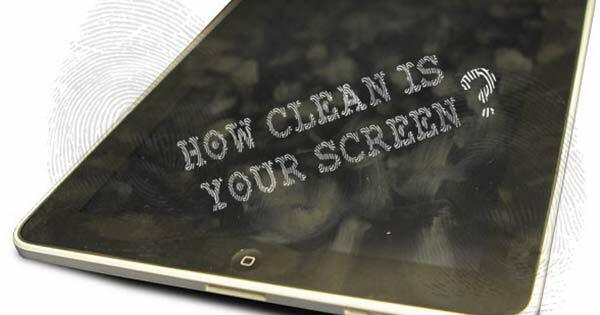 How Clean Is Your Screen Is it fake or real screen dirt? Made for UsVsTh3m. Hang The Abstract Art Can you tell which way up the pictures should go? Made for UsVsTh3m. 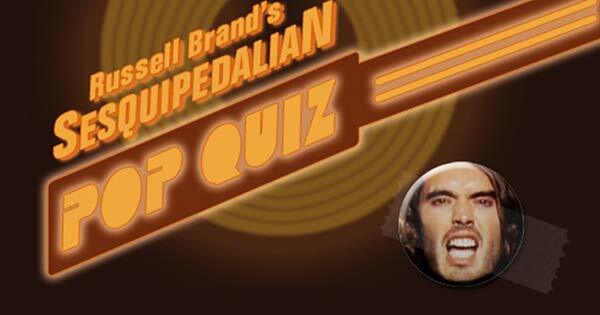 Sesquipedalian Pop Quiz Can you recognise the song titles that have been filtered through a thesaurus? Made for UsVsTh3m. 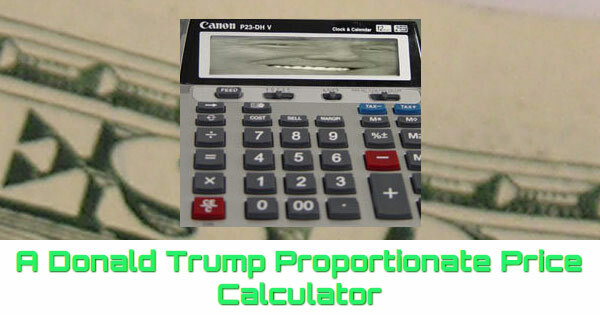 Proportionate Price Calculator The idea here was to calculate what money feels like to the one percent by comparing prices of luxury goods as a proportion of your income to it as a proportion of the income of a super-rich person. It was before Trump became president - he was just chosen as someone rich and awful. Made for UsVsTh3m.